received as expected. 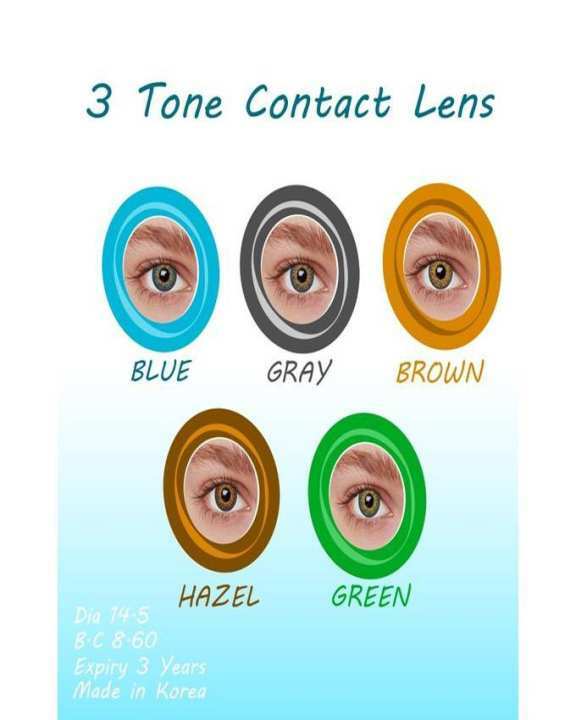 but lenses are of different brands. not same. 1 lens was of cheaper quality. but overall great deal. Please wash them with the solution provided, if you are facing any issue. Please mat kharidna koi b mainy mangway hain itni low quality hai ankh mein fix e ni hoty or chubty hain ankh mein or headache start ho jata hai. Please koi b na kharidy mainy b paisy waste kiye . Power not available in this brand, please browse our store their are many other brands in which power is available. This is a package of five pairs of different colours, if you want some of them, please visit our store.